An inexpensive and effective dust cleaning product. 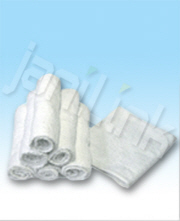 Wiping Rags Blue 5lb/pack 15" X 22"
- GREAT for Cleaning Windows!! !